NTS for the First time has decided to return Test fee of Punjab School Education Department candidates who have mistakenly applied from those districts where vacancies are not available. 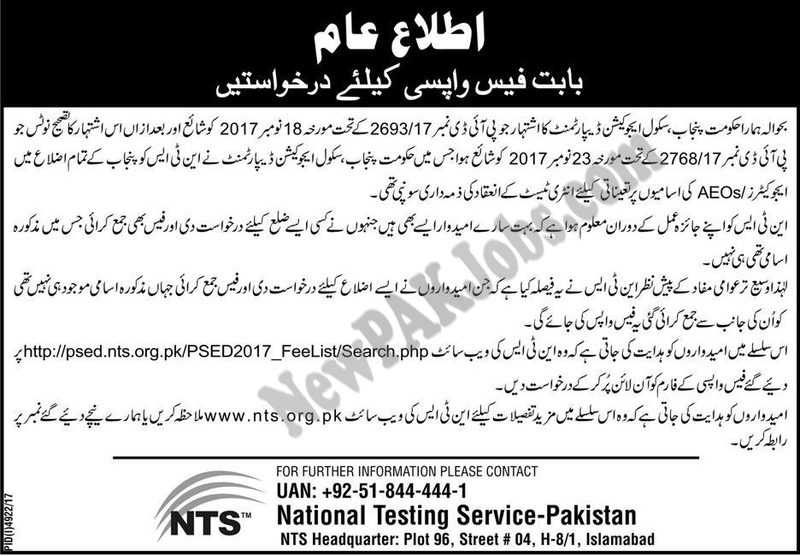 This advertisement was published in 18 Nov 2017 PID NO 2768/17 after that some changes embedded on dated: 23 Nov 2017. Now NTS Will return fees for those candidates who have applied for AEOS posts but actually these posts was not for those districts that’s why people paid the fee by mistake.